Have you taken the time to think about your future? 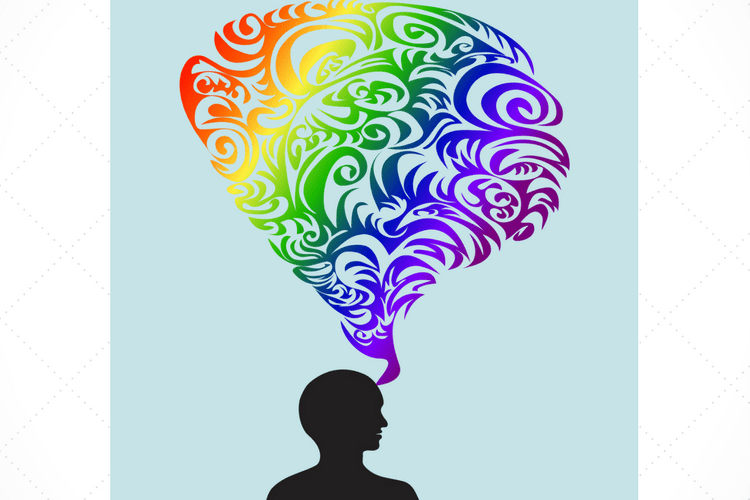 Considered what your true dreams really are and what you want to see in various areas of your like? If not, start imagining! Or maybe you have put lots of thought into your future and have come up with many different options. Now you need to discover what is the right path for your present life. Clarity is what you need. It all starts with a dream. A vision. A mission. It requires you to use the fullest extent of your imagination to discover the future you’re meant to have. Before you can have the family life you’re supposed to have, you’ve got to imagine yourself living it. And imagine everyone else involved living it along with you. Every goal, every victory, every dream realized begins on the inside of you. It’s got to be a reality in your mind to be able to play out in the physical world. I like to refer to this type of imagining as looking at your life with your spiritual eyes. Believing what your life is before you see it (with your physical eyes) is what will give you the most joy and peace that will give you the hope required to persevere through the many challenges that will come up. One of my dreams that came up for me 12 or so years ago was to work from home so I could still contribute to our household income and have lots of time to be available for my kids. That dream started pretty small. I just wanted to do something that I enjoyed at least a bit and that I could make some money with. As I progressed on that little dream, I started to dream bigger and bolder. I didn’t just want to do something that suited my natural talents and gave me money, I wanted to do something that really impacted people. I believe how it works is that even if you don’t get really excited about some parts of your desires, God will help you along to realize a little dream while gearing you up to do something even more magnificent! I help people make progress in all parts of their lives, bit I’m especially fond of helping moms be more available to their family by running a home business. I know there are lots of moms that wish they could spend more time nurturing their home life and less time meeting the demands of their job. For those women and the moms who already stay at home but want to nurture their professional side, I encourage you to get a clear picture in your mind – in your imagination – of what your life will be like when you’ve got the flexibility and fulfillment of your home business. Create the vision of your life by imagining everything you’ve already achieved. And get into detail about what your life will be like. This list could go on for a while …. Hopefully you get the idea that you picture any and every aspect of the life of your dreams. Then after you’ve spent some time day-dreaming your future, get writing. Get a blank lined journal (something that looks special) and write down what you will have in different areas. I’ve put these as headings on separate pages in my Dreaming and Planning Book and write down, usually in point-form, what I want to see for each area. 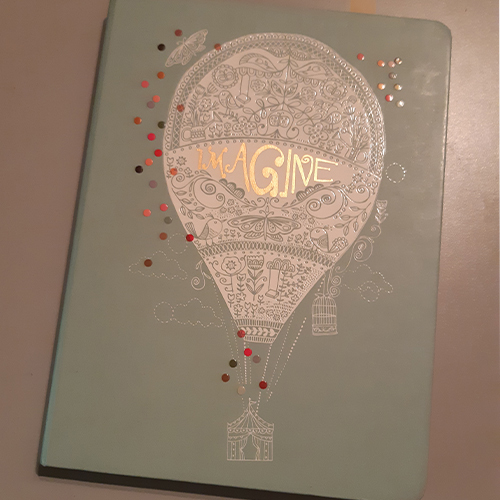 My Dreaming and Planning Book where I write my future. Some of these sections I’ve wrote short-term and long-term goals. I’ve made a section half-way through the book where I write out quarterly goals. I’ve got a block of a few pages where I’ve been brainstorming and detailing some of the business ideas that have come to mind. I’ve also left a few blank pages right at the beginning of my book where I write some quotes that are meaningful for me and other little phrases and scripture that help to keep me grounded and focused on the right things. And directing your focus on the right things is just what your personal Dreaming and Planning Book is for. It’s to help us stay focused on all the opportunities and possibilities so we can find all the blessings of abundance in every part of our lives. Over the years I’ve written down my dreams and goals in different ways, with varying levels of commitment to maintaining my focus on the right stuff. There are so many ways that you can create your vision and keep it front and centre in your life. So, if you’ve tried the goal-setting thing before without much in the way of achievements or have done some visualizing of your future, but nothing that was a regular part of your life, then we’re in the same club. I’ve been up and down with my commitment on creating my vision and taking action to make it happen. But life has always gone smoother when my mind was focused on the opportunities and possibilities, even when the present was pretty bleak. Visualizing your future and setting goals to get the abundant life you’re meant to have is a lifeline. It is what will keep you moving forward even if you haven’t thought about what you want for months. Just get back to it. Or start. And keep your spiritual eyes on your future. Make it a daily part of your life to check in with your dreams, take action on your vision or to just sit down, close your eyes and visualize all that extraordinary stuff in your future. And share some of your methods for dreaming and planning so myself and others can be inspired with new ideas to create the good life.